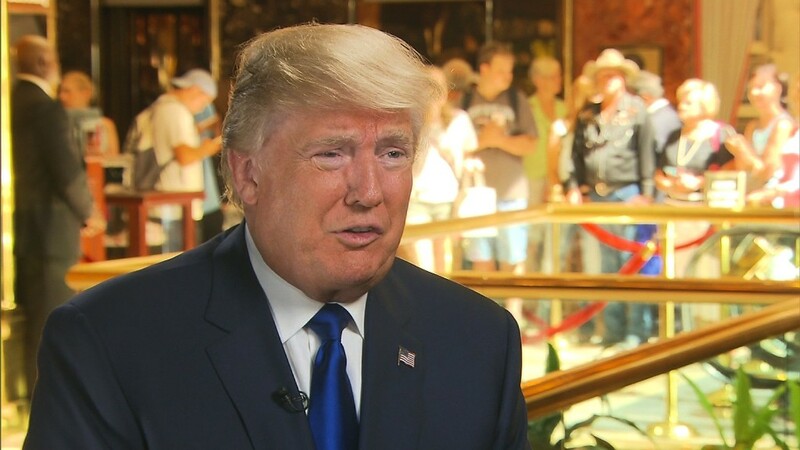 Donald Trump vows that if he's elected president, he would "be the greatest jobs president that God ever created." One of the main reasons Trump cites is that he's a businessman. He has already created jobs, he argues, so he'll do it on an even bigger scale as president. It's not the most straightforward calculation. His company, The Trump Organization, is private, so it does not have to disclose information publicly about how much money it makes or how many people it employs. His campaign didn't give a specific figure either. CNNMoney turned to PrivCo, which researches and tracks privately-held companies. According to PrivCo, the Trump Organization has 22,450 employees and brought in $9.5 billion in annual revenue last year. But that's not the whole picture. There are likely other jobs that might not exist without Trump. Economists call this the "multiplier effect." New York's Broadway shows are a good example. Visitors who come to see shows, may stay at least a night or two at New York City hotels and spend money at restaurants and stores. So any analysis on the economic and job impact of Broadway takes into account more than just ticket sales and employment of actors, singers and stage hands. The same holds true for Trump's resorts and hotels. Consider Ricardo Ara, the 24-year-old who works in the Koi Soho restaurant in the Trump SoHo Hotel. His story made news last month because Ara is an illegal immigrant from Mexico who has the right to work at the restaurant in Trump's hotel because of Deferred Action for Childhood Arrivals, a program Trump wants to end. Ara is technically employed by the restaurant, not the Trump Organization, but his job probably wouldn't exist if the hotel weren't there. The state of New York says that "leisure and hospitality" companies like Trump's typically have a 1.5 multiplier effect. Using that multiplier, the Trump Organization is responsible for about 34,000 jobs. This is a rough estimate. There are arguments to be made that it should be higher or lower. Trump has acquired some existing properties, so one could argue he didn't create those jobs. He has also filed for Chapter 11 bankruptcy four times for some of his properties, mostly in Atlantic City. The hotels were still able to operate in bankruptcy, but Trump Plaza in Atlantic City did close in 2014, costing about 1,000 jobs. By that time, Trump was no longer running the company, although he retained a small stake in it. On the plus side for Trump, his name appears on many businesses he doesn't fully own, and he's been part of a successful television franchise with "The Apprentice" on NBC. It's possible to argue that he should get credit for some jobs in those ventures as well, even if they weren't part of the Trump Organization. A more generous estimate would be to view the Trump Organization as a financial services or management company. Then the employment multiplier would be 3. That would bring jobs attributable to Trump to 67,000. For comparison, a similar company Wynn Resorts (WYNN) has about 17,000 employees and $5.4 billion in revenue, and MGM Resorts (MGM) has 62,000 employees and took in $10 billion in revenue last year, according to FactSet. Trump claims his personal wealth is $10 billion, although Bloomberg calculates it at $2.9 billion.